You may have read in a few publications that Rev-Ola are no more. If so, wrong. Rev-Ola are very much alive! Founded by Creation record's maverick Joe Foster, the label's earliest releases were issued as an imprint on Creation before moving over to Poptones and then Cherry Red. After leaving Cherry Red earlier this year many believed the label, which over the years has brought all manner of esoteric, weird and wonderful music, not to mention changing many people's opinion of treacley and gooey sunshine pop, to be dead. The lack of Joe Foster's always interesting releases would certainly have left a horrible gap in the reissue industry. Thankfully the label has relaunched as an imprint on Scottish indie label Poppydiscs (more on them later). First up on the reignited label is a comprehensive collection of four young ladies that turned the traditional world of Scottish music upside down. 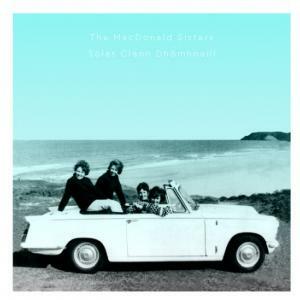 The MacDonald Sisters were a musical phenomenon that shook up the traditional folk scene of the sixties and early seventies with their modern and innovative interpretations of Gaelic songs. Their vocal technique and original sound combined with a glamour that was more akin to the style of American girl bands like The Ronettes made them a huge hit with the media. Their own TV series on Grampian and the BBC as well as appearances on a variety of other nationwide TV shows followed. Steptoe & Son star Harry H Corbett, one of their greatest fans, personally invited them to appear to perform on his own TV special.. Sòlas Clann Dhòmhnaill gathers the best of the sisters' work.A party to celebrate the reissue of this exquisite and seminal body of work, on CD for the first time, will be held at Glasgow’s top Gaelic nightclub, Ceòl ‘s Craic, at the Centre for Contemporary Arts on Saturday the 20th of November.At this unique musical event The MacDonald Sisters will make their first performance together in public for 33 years. The sisters will be joined by a number of very special guests. F ollowing very shortly after the sisters' Gaellic treats will be the first time EVER on CD release of Evensong's much-prized, rare as hen's teeth, UK folk-pop artefact, originally released in 1972 to critical acclaim and strong sales.The duo's fragile, harmony-drenched songs are given instrumental muscle by seasoned session players of the calibre of Clem Cattini, B J Cole and Herbie Flowers and ornate string arrangements courtesy of former Spencer Davis Group guitarist Ray Fenwick (the man behind the insane guitar solo on The Syndicats' Freakbeat classic 'Crawdaddy Simone' btw!). Exclusive bonuses include four previously unreleased recordings from 1971, the ultra-rare Neil Young-penned 1973 single, in-depth liner notes and track-by-track annotation by band member Mick Lawson. This is a vital missing link between UK psych-pop and the ever popular folk-rock sound which emerged shortly after. Essential! And of course, if No Other are doing press, publicity and PR for Mr Foster's legendary label we are also doing the same for his recently launched independent Poppydiscs. First up is the re-release of the seminal 1981 debut by future member of The Television Personalites and one time member of Swell Maps, Jowe Head. Pincer Movement was both ahead, behind and above it's time, combining apocylaptic cut up sound collages, bubblegum pop and post-punk abandon in a rivetting and unsettling manner. This is an album that needs serious reapraisal in 2010. Sean Jackson was in one of the final Creation signings 18 Wheeler. After a wilderness period he returns with this set of pop songs that lovers of classic Scottish indie-rock will adore. Harmonies, guts, jangle and classic melodies. If you liked his old band, the Fannies and so on, this is an album that needs inspecting. The Method's ‘Whip Around’ conjures up the post-punk genre defying spirit of the early ’80s when everyone from Dexy’s, Pigbag, the 2-Tone label and The Saints mixed horn laden ’60s black music with the vicious energy of punk. ‘Consider This Your Warning’ could just about pass for a riled young Tom Waits fighting with The Monkees. An odd description perhaps, but The Method do genuinely play outside the boundaries. If Kasabian ditched the stadium rock pretensions and used their imagination this is how they could sound. Broken Vinyl Club's namemay be something of a misnomer as there certainly ain’t nuthin’ “broken” about them – these sharp young chaps have a freshness and vitality lacking in so many of today’s hopeful guitars bands. They have a classiness in their sound and vision. Imagine, if you will, the mid-60s London strut of Ray and Dave’s The Kinks, The Las and The Stairs Scallydelica reinterpretation of their forefathers, and, well, Manchester’s ’60s pop Gods The Hollies and modern day TV ad pop mastermind Jim Noir. They play with all of the qualities of yesteryear with a know-how that betrays their years. Shimmering songs, perfectly arranged… and more importantly instantly memorable. Both bands albums will follow at the end of the year. 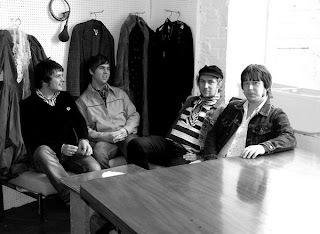 In November Bristols' The Moles' debut album Future Sound Of Ashton will be unleashed upon the world - and please believe what we at No Other have to say about them. These guys are certain to change the face of music, if not change, liven it up.Think along the lines of Syd Barrett, Ray Davies, Andy Partridge, and Damon Albarn taking the mad hatter's tea party British mentality and messing with the formula further, twisting the melodies, the eccentricity and speeding it all up and adding some punk nihlism to the proceedings. We should have learnt that we don't need to try and re-write the rule book in pop by now. The Moles stick with the formula, but give it such a crazed make-over it sounds like their own. Astounding! 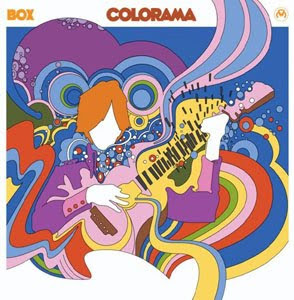 Not only are See Monke y Do Monkey excited about Colorama siging to the label, but so are we. After an array of amazing shows this summer the group release their debut album Box. Carwyn Ellis is an incredible talent and this album should make him a star. His songwriting and arrangements may conjure up past legends, everyone from Donovan to Bowie and The Kinks, but it is also so very, very good that you do have to wonder why people have wasted their time listening to Goldfrapp and the like. 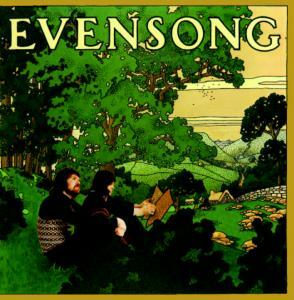 Request this album, cover it in your magazines, papers and blast this wonderful music across the airwaves. It's that good! 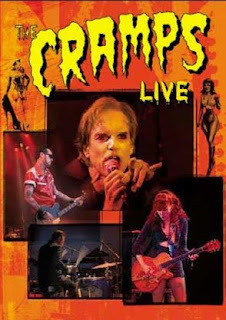 Filmed in 2006 at The Lokerese Festival in Belgium Lux Interior now resembles the zombies and vampires he has always paid homage to without having to use much make-up. Poison Ivy looks much the same and the music remains resolutely the same. The Cramps have outlived many of their peers, and this is testament to the show people they are. Here's a great concert of the drummer's drummer, now nonchalant old man, once fesity young man. Caught live in 1970, recorded for German TV this extended performance catches Ging's post-Cream and Blind Faith group, Ginger Baker's Airforce live during their second carnation. After Stevie Winwood, Ric Grech and Chris Wood quit Ginger lined up Graham Bond and a host of top players,.This is a legendary 55 minute performance that has been rarely seen. Gong are still going strong, with Daevid and Gilli wowing crowds whilst in their 70s. Back in 1973 though the mad Euro jazz/rock/psych collective were at their very maddest, baddest and in top form musically. Gong At Montserrat and Other Stories is a wonderful mix of the old and the new and also the rare. The old is footage of the classic line up of Gong which featured Daevid Allen, Steve Hillage, Pierre Moerlin and Tim Blake. The more recent footage comes from 2006 and finds Daevid Allen in an al fresco mood reciting his poetry and singing songs. There is also footage of acidmothersgong from the RFH I 2002. Perhaps the rarest piece of footage is the original line up of The Soft Machine featuring Daevid Allen. This footage was filmed at UFO in 1967 at a benefit for UFO founder John “Hoppy” Hopkins. Jack Bruce is a rock music icon. Along with Eric Clapton and Ginger Baker he played through the R&B scene before emerging in Cream. He then had a solo healthy career, battled drugs and booze, nearly died and made it through the otherside and is still performing today. 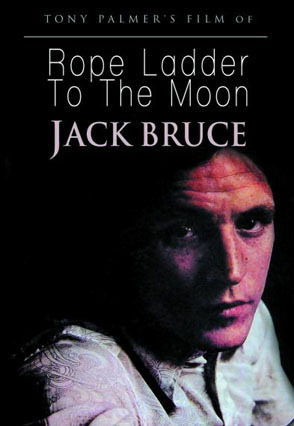 Roper Ladder To The Moon was made by Tony Palmer in 1970 after he had filmed Bruce during the Cream Farewell Concert at The Royal Albert Hall. By 1970 Bruce was a heroin addict and making more experimental music to escape rock stardom when he made the jazz-orientated Songs For A Tailor. Originally shown on the BBC in 1971, this critically acclaimed film has been restored to something approaching its former glory and reminds us yet again what a great musician Jack Bruce is. It is well worth seeing. John Lennon was assassinated in 1980, I had turned 10 and like the rest of the world that adored The Beatles a young Jonathan No was shocked and saddened. In a breathtaking, minute-by-minute format, December 8, 1980: The Day John Lennon Died follows the events leading to the horrible moment when Mark David Chapman calmly fired his Charter Arms .38 Special into the rock icon, realizing his perverse fantasy of attaining perennial notoriety. New York Times bestselling author Keith Elliot Greenberg takes us back to New York City and the world John Lennon woke up to. The day begins with a Rolling Stone photo session that takes on an uncomfortable tone when photographer Annie Leibowitz tries to maneuver Yoko Ono out of the shot. Later Lennon gives the last interview of his life, declaring, “I consider that my work won't be finished until I'm dead and buried and I hope that's a long, long time. We follow the other Beatles, Lennon's family, the shooter, fans, and New York City officials through the day, and as the hours progress, the pace becomes more breathless. Once the fatal shots are fired, the clock continues to tick as Dr. Stephan Lynn walks from the emergency room after declaring the former Beatle dead, Howard Cosell announces the singer's passing on Monday Night Football, and Paul McCartney is lambasted for muttering “Drag, isn't it?” - his bereavement confused with indifference.